We here at Imagine Surfaces love a multitude of styles when it comes to home décor. From classic looks to the latest trends there is always something that makes us excited to get to be a part of the design world. 2018 began a shift in kitchen design that seems to be continuing in 2019 – including moving away from stark white to pops of color and from industrial back to warm and inviting. What we really love is people having permission to just go with what they love rather than copycatting whatever is the latest and greatest. Being true to your own style is on trend and we are here for it. Keeping all of that in mind, we took a look at Elle décor to find some of the latest design trends we love heading into 2019. At Imagine Surfaces we have held sustainable design as one of our core values since day one. We love that more and more people are choosing this way of décor. On the way out is the industrialized look, on its way in are warm, inviting spaces, bringing back old ideas and putting a fresh twist on them. Classic & traditional or bold & modern, our surfaces fit right in to however you want to mix it up. 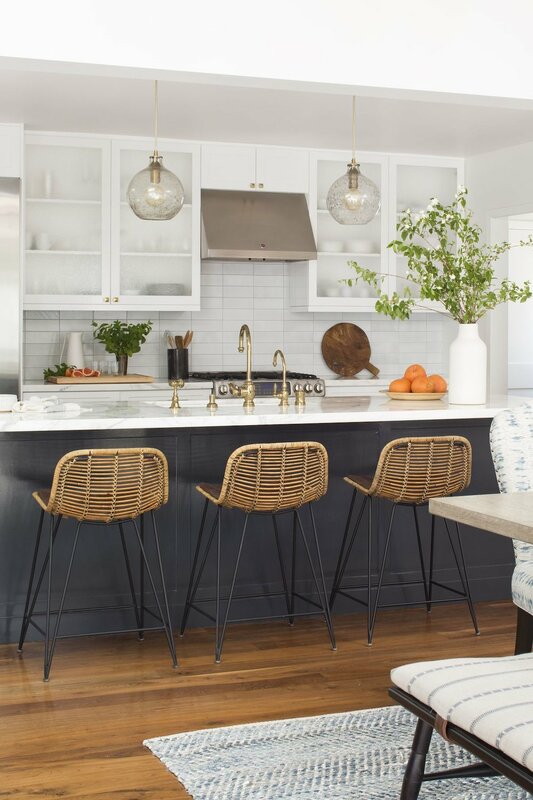 Stark white kitchens have had their day, people are bringing color back to their kitchen with colored upholstery, dramatic backsplashes, and colored cabinetry. Not quite ready to do a kitchen in the Pantone color of the year? Consider a muted blue. Whatever, trend you decide to follow this year, we hope you will consider us as your source for sustainable, on trend surfaces that will make your house a home.